Valentino Rossi has conceded that his MotoGP records are in danger if Marc Marquez continues his current form. Honda rider Marquez's seventh win of 2018 in Thailand was his 42nd since he graduated to MotoGP in 2013, and puts him within touching distance of a fifth premier class championship crown. He leads nearest rival Andrea Dovizioso by 77 points with four rounds left to go, meaning he could wrap up this year's title this weekend in Motegi if he isn't outscored by the Ducati rider by more than a point. 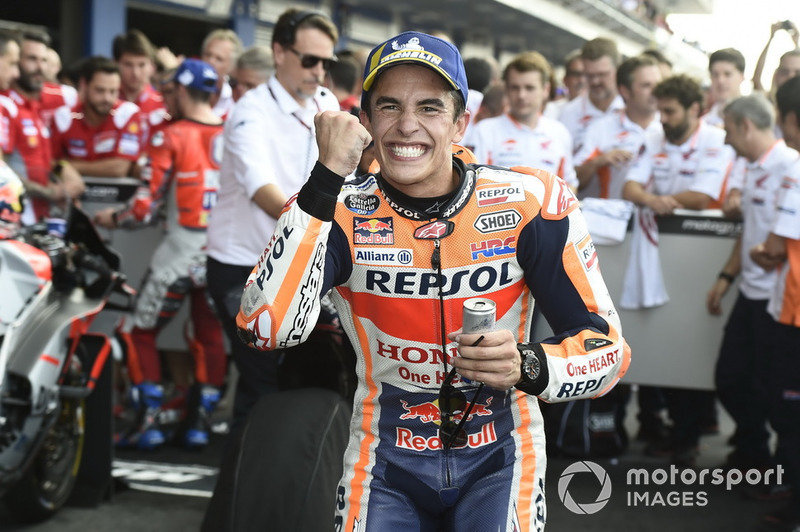 At just 25 years of age, Marquez appears to be on track to surpass Rossi's record 89 premier class wins, as well as the Italian's haul of seven premier class titles (second only to Giacomo Agostini's eight 500cc championships). 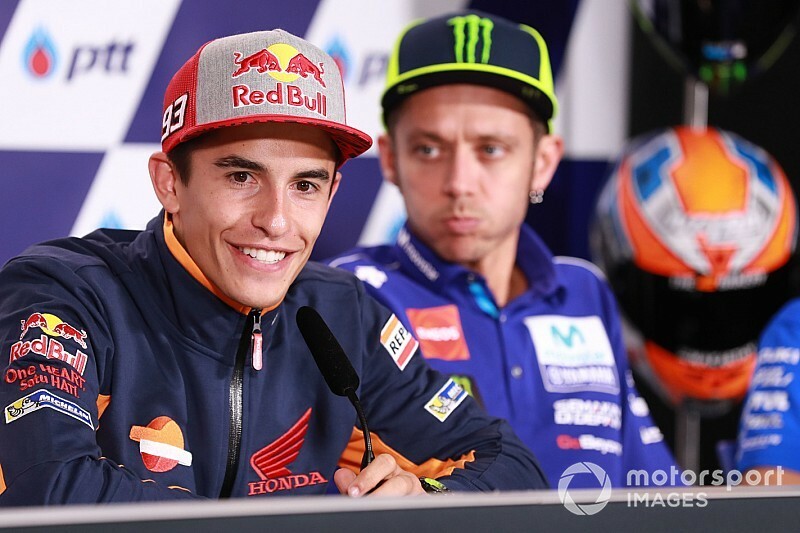 But Rossi insists he has no qualms about Marquez, with whom he has had a famously fraught relationship during their time as rivals in grand prix racing's top tier, potentially going on to surpass his achievements. “Marquez can beat my records, but it does not bother me,” Rossi said last week during an event at the Dainese Store in London. 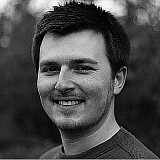 “You have to think about your own career and I think that mine is good. I won many races and I could have won more championships. 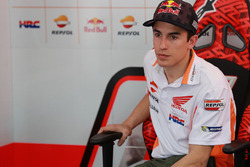 Five-time 500cc champion Mick Doohan, whose 54 premier class wins put him third on the all-time winners' list, recently backed Marquez to threaten Rossi's records. 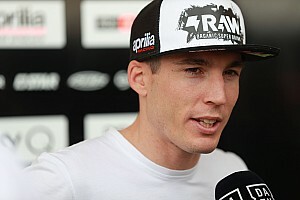 "It's something incredible, especially because he has a great talent,” Doohan told Spanish TV network Movistar. “Given the consistency with which he has won races, pole positions and titles, I don’t think he will stop after the fifth [championship]. He will certainly continue. 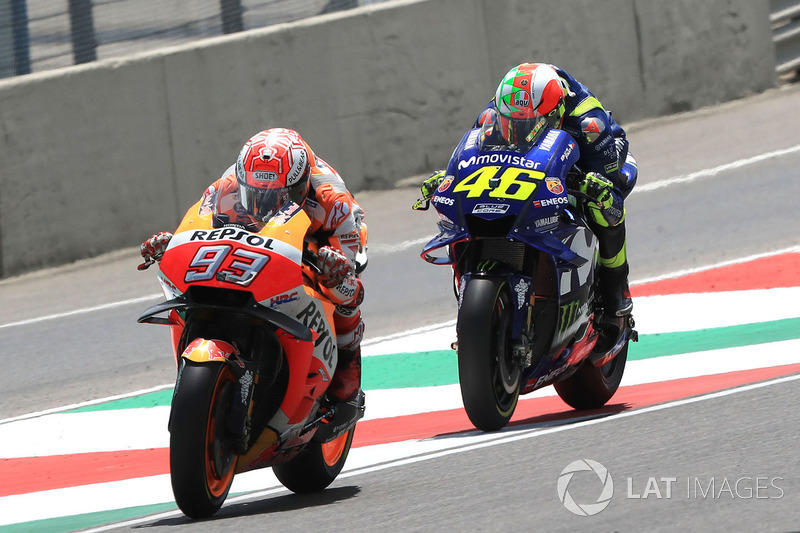 When will Marquez surpass Rossi? With a fifth MotoGP title now looking like a formality for Marquez, it's not hard to picture the Spaniard going on to win at least another two, assuming he remains fit, motivated and on competitive enough machinery. Assuming he does indeed clinch the 2018 crown, it would mean Marquez would have won the championship in every year he's been in MotoGP bar one (2015). 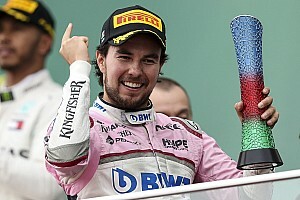 He could therefore match Rossi's seven premier class titles even before his current contract with Honda expires at the end of the 2020 season. 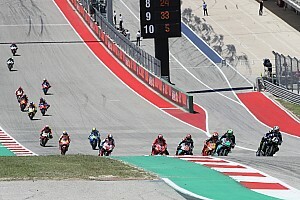 Surpassing Rossi's 89 500cc/MotoGP wins is likely to take a little longer, unless Marquez is able to dramatically up the average number of races he wins per year, which prior to 2018 stood at seven. At that rate, he is on target to score his record-clinching 90th top-level race win some time in 2025. 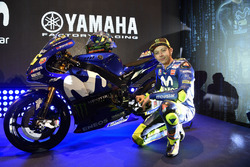 By then he will still only be 32 years old, seven younger than 39-year-old Rossi is now.